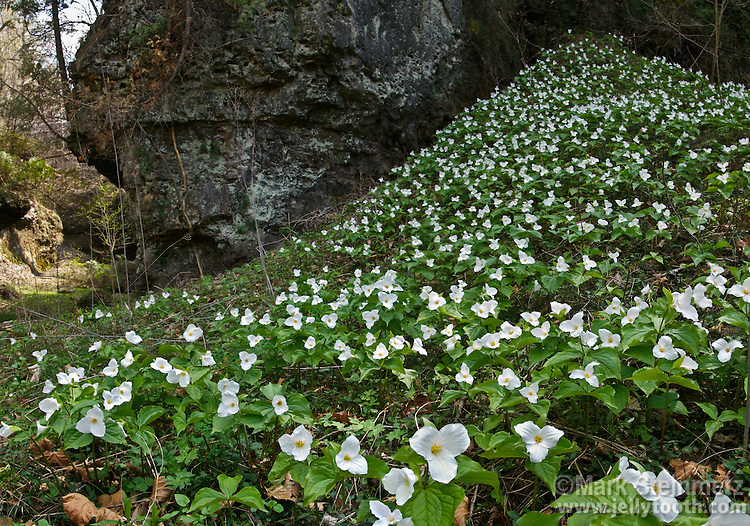 A carpet of Large-flowered Trillium (Trillium grandiflorum) covers a riverbank in a dolomite gorge in April. Highland County, Ohio, USA. This beautiful flower is the official state wildflower of Ohio.